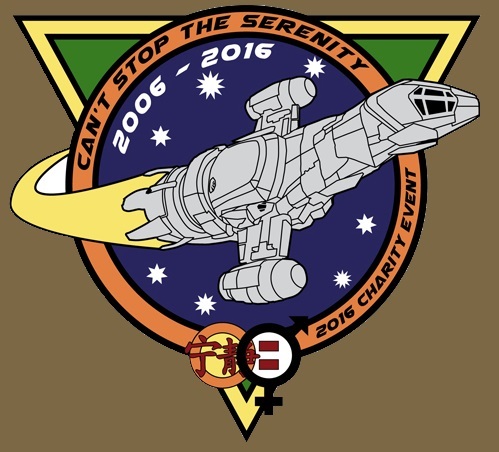 New Melbourne Browncoats, Inc. | Can’t Stop the Serenity Event Schedule is here! Plus Afterparty details! The CSTS Experience gets a little bit horrible with a bonus event on September 3! CSTS Melbourne’s Online Charity Auction this September! 10:00am: Doors Open – Get your raffle tickets & merchandise! 10:30am: Fun times begin! Prizes, Hero of Canton Sing-along, Cosplay Contest & Auctions! 12:00pm: Intermission – Grab some lunch and more raffle tickets! 1:00pm: Adele Scott performs live, Raffle Drawing, More Prizes & Serenity screening! 4:30pm: It’s all over, folks! Grab some merchandise before you go! Tickets are available online here (until midnight on Friday) or at the door. Join us after the event at Alchemist’s Refuge to celebrate! It’s located downstairs from Games Laboratory at 328 Little Lonsdale Street, Melbourne. Serving a great range of craft beer and featuring comfortable seating and bar-friendly board games, it is the perfect Refuge for the survivors of our final Can’t Stop the Serenity screening.